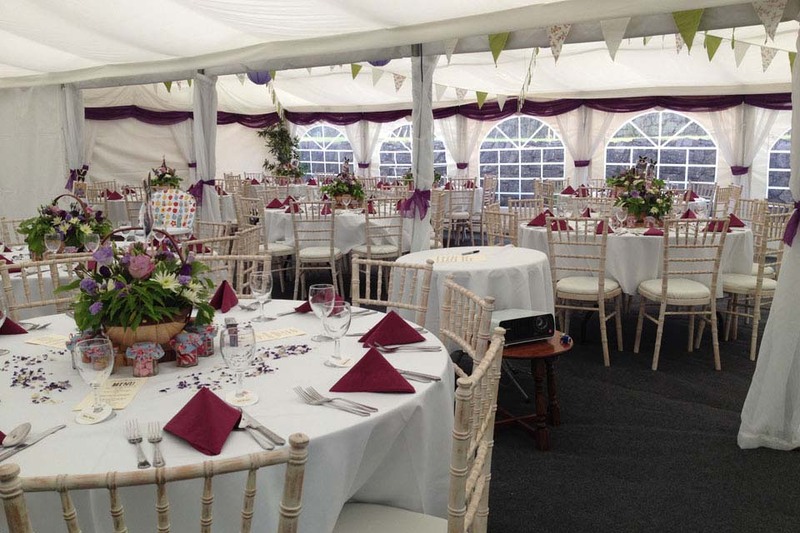 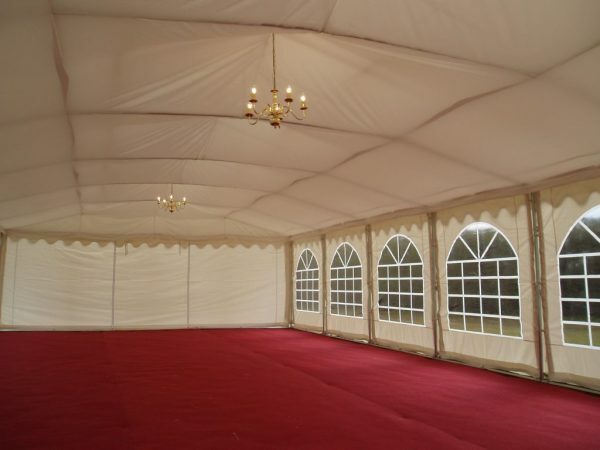 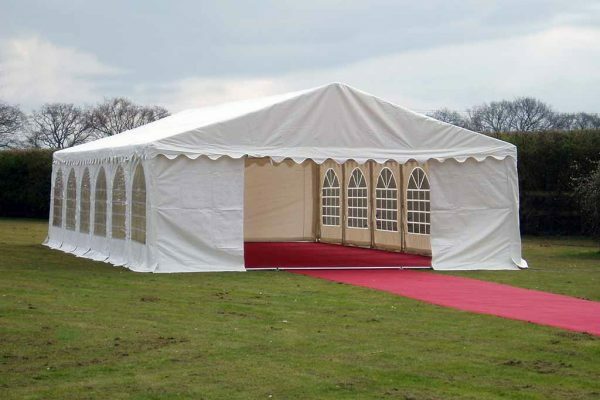 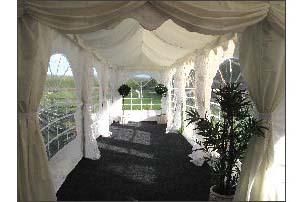 We are confident that our structures are the highest quality marquees for sale in the UK. 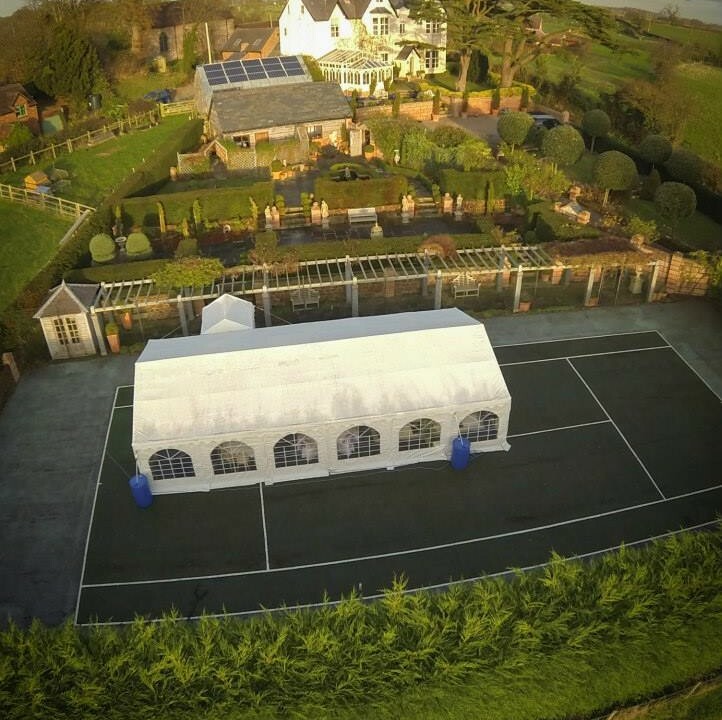 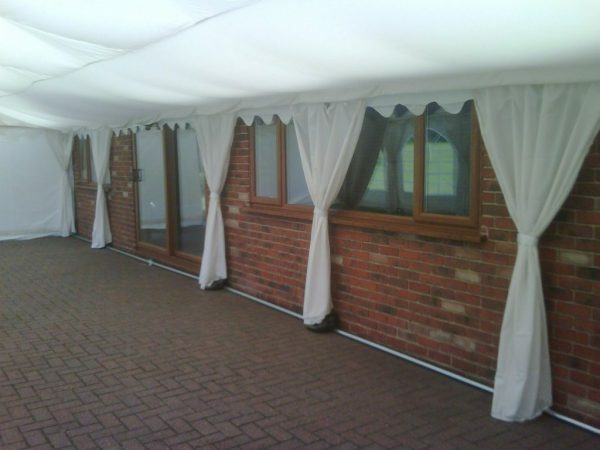 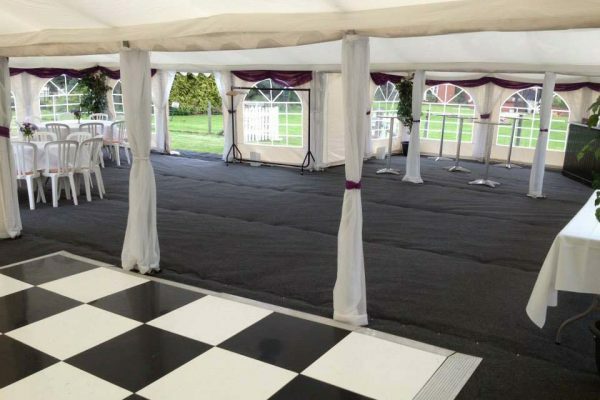 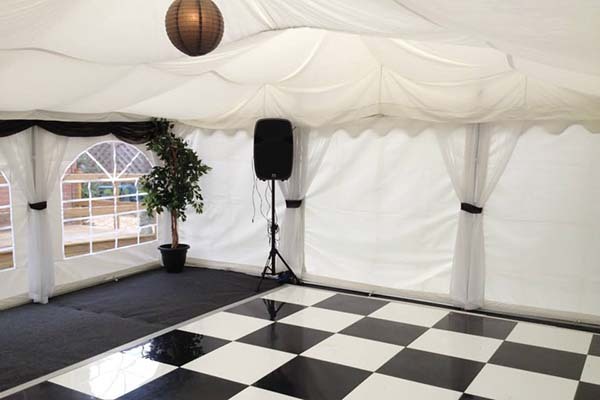 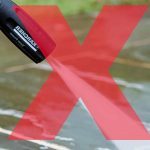 Fire Retardant – We always use Belgian PVC covers which are Flame Retardant to BS5438 & BS7837 in white 500gsm Rip Stop PVC on the roof and sides of our marquees, with welded (not sewn) seams because this provides total waterproofing along the joins. 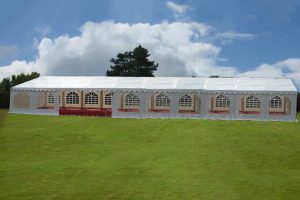 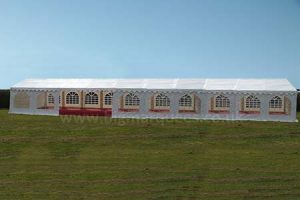 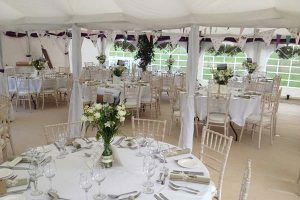 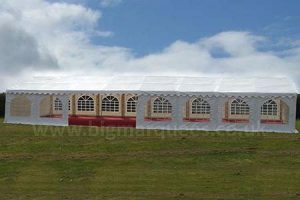 Roof Bracing – we provide both vertical and horizontal for extra strength, therefore the marquees for sale can better cope with loading from Snow, Rain & Wind. 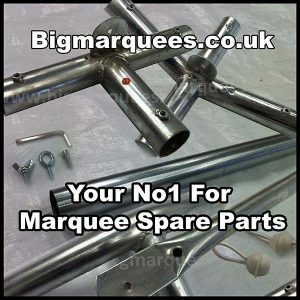 Frame : 38mm / 42mm Galvanised strong steel tubing Bolted secure, Eaves Braces, Vertical & Horizontal Roof Braces, End Gable Support Bracing – with 3 Panel Gables. 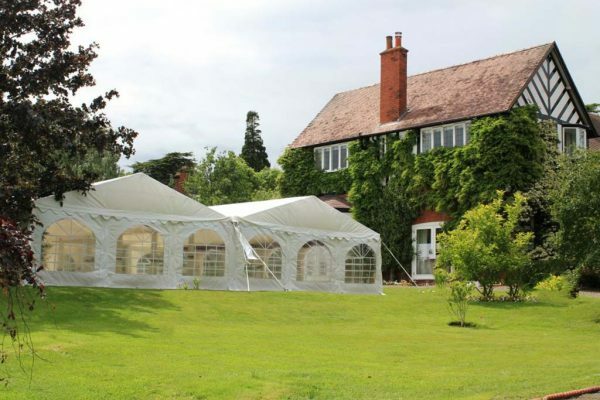 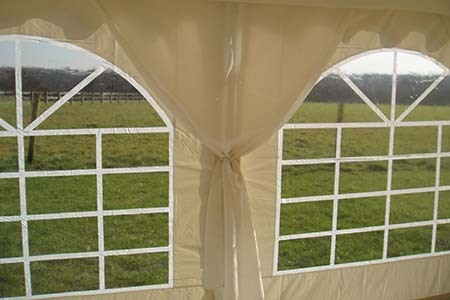 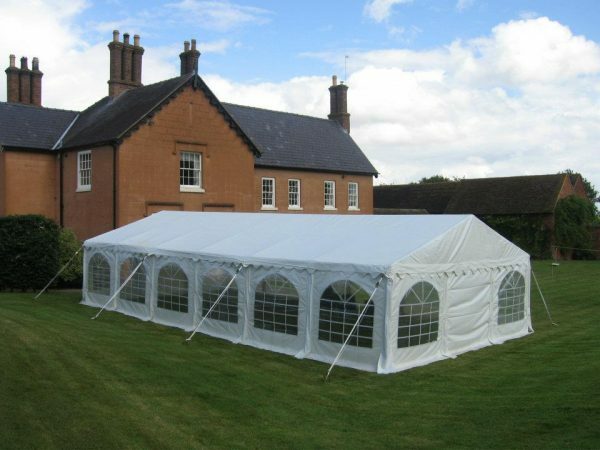 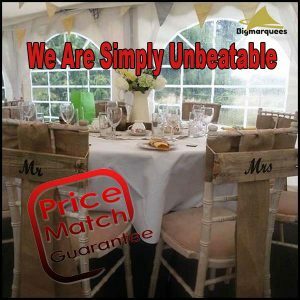 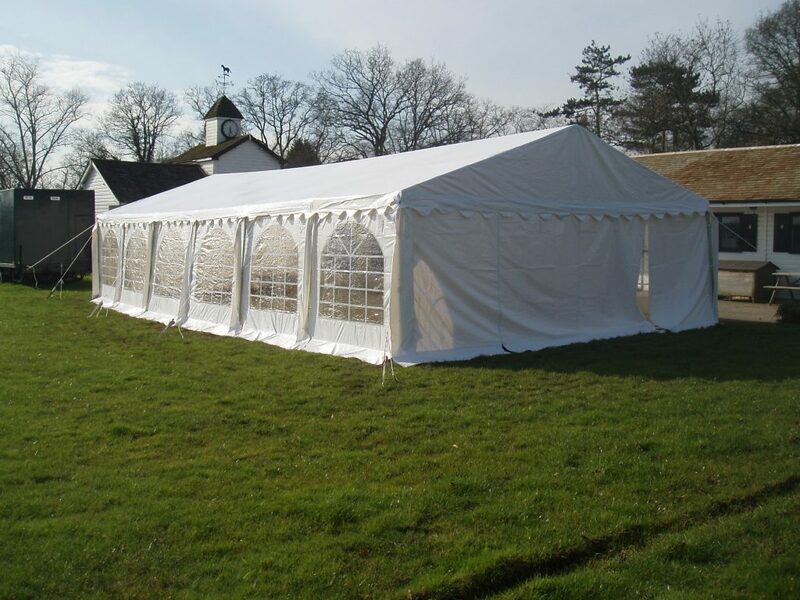 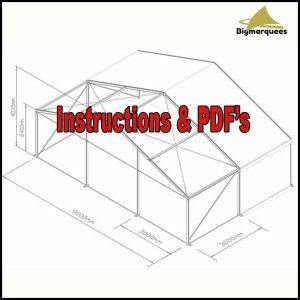 This marquee is very easy to erect with the use of 2 to 4 people and with comprehensive easy to follow instructions we supply when the marquee is delivered and the video we have in our Marquee Instructions section. 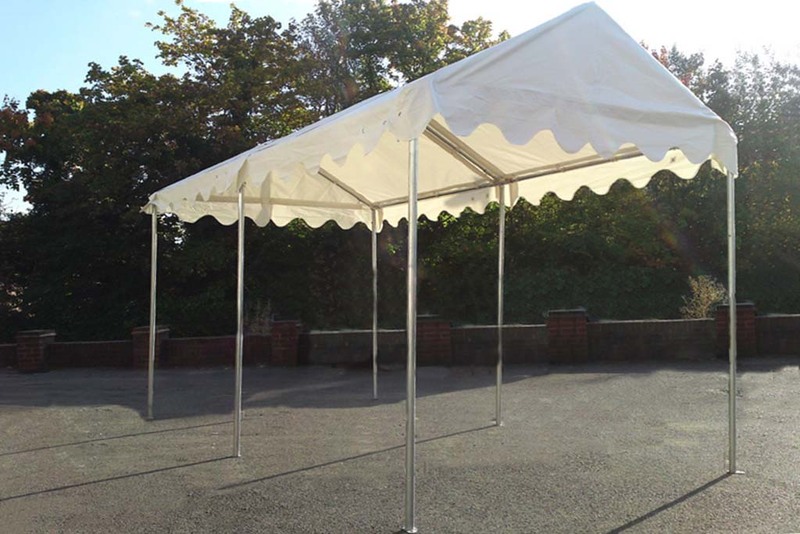 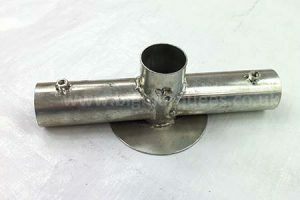 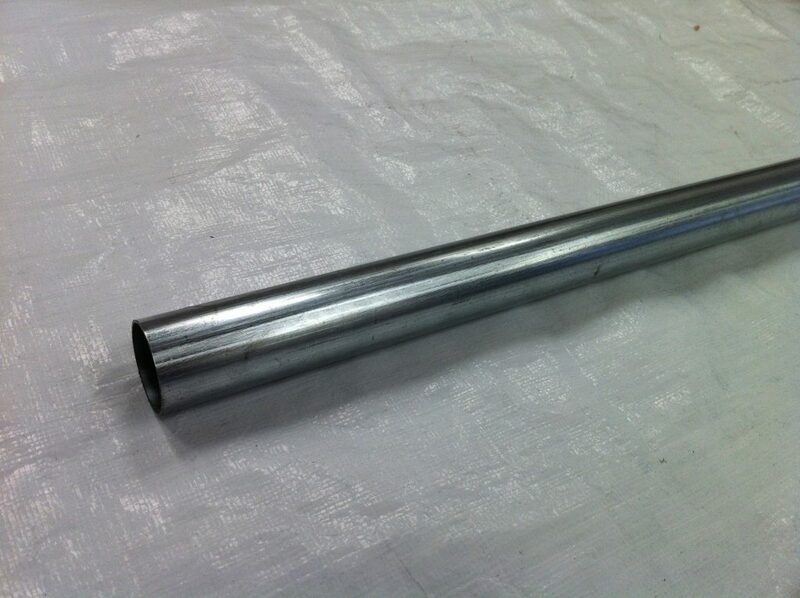 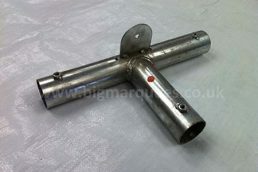 End Gable Support Poles – Attached Floor To Roof To Support The End Gable From The Wind – Completely Removable If You Want An Open End Gable. 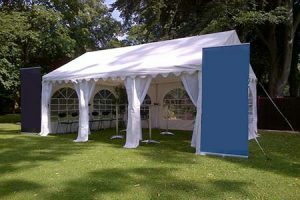 Highest Quality 500gsm Commercial Marquees for Sale in the UK. 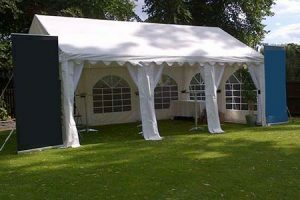 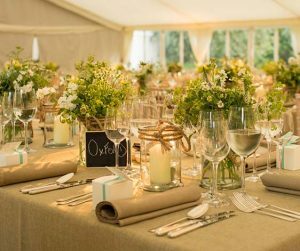 This was a replacement marquee for one which we had used for a few years on the village green, when it came it was immediately apparent that the marquee we had been using was an inferior product! 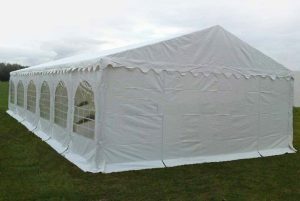 Could not be happier with the quality of this marquee, I’m sure we will be using it for years to come.